Welcome to the Eli Broad College of Business, one of the largest AACSB-accredited undergraduate business programs in the world. Our top-ranked faculty combine multi-disciplinary backgrounds to provide a diverse educational experience, and our career management team connects students with the networks they need to succeed. Upon graduation, our students join the Broad alumni network of close to 60,000 business and community leaders in all 50 states and 88 countries. They go on to inspire teams, drive innovation and make business happen. We are wrapping technical skills, soft skills, new economy skills and knowledge around diversity, inclusion, ethics and integrity into the curricular experience. That is the future of business education. Undergraduate students in the Broad College of Business have choices. With seven business majors and nine business minors from which to select, Broad empowers students to tailor their business education to their specific interests and career goals. Students completing undergraduate programs in the Eli Broad College of Business receive a bachelor of arts degree. Broad undergraduate students are required to complete a core curriculum that exposes them to diverse subjects and develops well-rounded foundational business knowledge. Enrollment in the Broad College of Business is limited, and admission to the Broad College is competitive. Students with a strong work ethic, demonstrated scholarship and leadership abilities are encouraged to apply. The Broad career management team supports all business-interested students of all majors from freshman year through graduation. 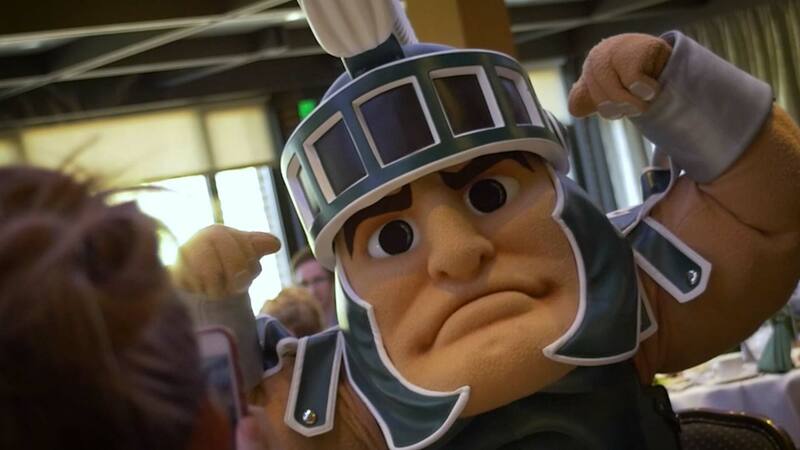 They are a full-service center dedicated to career coaching, career education and ultimately, Spartans transforming from successful students into successful alumni. Broad College academic advisors in the office of Undergraduate Academic Services (UAS) are coordinators of the business undergraduate experience. They provide critical information about academic programs and degree requirements, study abroad, leadership development, major choices, career options, policies and procedures and campus resources. 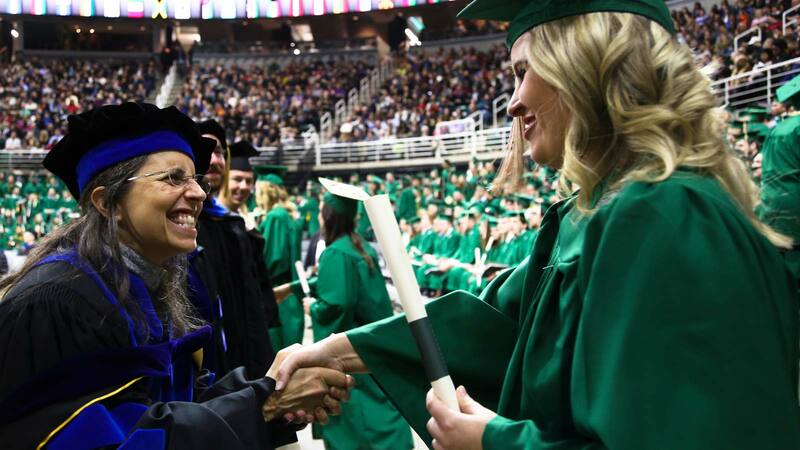 The UAS office can be reached via email at undergrad@broad.msu.edu or by phone at (517) 355-7605. Broad is a school unlike any other. The social climate and pure hunger that our students possess is infectious. When I walk into the Broad College every day, I feel the desire to be great. A strong, global network of alumni and corporate partners helps ensure Broad graduates have the opportunity to take their business degrees and thrive professionally. Employers recruiting our students span across all industries, from nonprofits to Fortune 100 companies. The Residential Business Community (RBC) is a residential academic experience designed to support and enhance students’ development as business students in a diverse world. Students who participate in the RBC will experience support as they transition to college life and the MSU campus, gain access to resources for successful admission to the Broad College and careers in business, grow in cultural intelligence and leadership competency skills and develop a network of corporate recruiters and MSU alumni built throughout their college career. The Financial Markets Institute (FMI) provides comprehensive training to a select group of highly motivated finance and accounting students at Broad. After joining the institute, student scholars pursue a challenging academic program aligned with their professional interests. Scholars are offered invaluable professional opportunities, such as co-managing a multi-million dollar investment fund and visiting financial services firms across the United States. At Broad, one of our greatest assets is our diversity. Multicultural Business Programs (MBP) is a diverse, team-oriented group of academic specialists, graduate assistants and undergraduate students that represent a wide variety of cultural, economic and racial/ethnic backgrounds. MBP provides a number of opportunities for students within a supportive community. Students who study abroad discover that stepping outside of their cultures to live and study in a foreign country influences their careers and educational choices, increases self-confidence, enhances cultural tolerance and understanding, and facilitates lifelong friendships. With more than 260 programs in more than 60 countries on all continents, there are opportunities for all students at Broad to bring a global perspective to their bachelor’s degree. The Consulting Academy @ MSU prepares a select group of students for careers in management consulting. The Consulting Academy admits students via a competitive application process. Through a variety of academic and professional activities, the Consulting Academy @ MSU prepares these students for the highly selective and unique hiring process used by consulting firms. In conjunction with the Undergraduate Research Office at MSU, the Broad Undergraduate Research experience strives to increase opportunities for students to engage in scholarship and expand business knowledge. I chose Broad for the opportunities and the people. There is an overwhelming sense of everyone—including your classmates, professors, and advisors—genuinely wanting you to succeed and doing whatever they can to help you. Whether you’re a high school senior interested in business education, an admitted Michigan State student or a transfer student looking to come to MSU, we have options for you to learn more about Broad.